Deploy, update and manage all ESET security solutions from a “single pane of glass” using pre-configured Microsoft Azure Virtual Machine. Licenses needed for running ESET Remote Administrator components (Windows Server) are included within the price of the Virtual Machine so you don’t need any additional licenses. Handle all licenses via a web browser, transparently from one place, merging, delegating and managing them in real-time. Create multiple user accounts, each with individual, customizable sets of privileges. Use in multiple locations and define company policies for local admins. 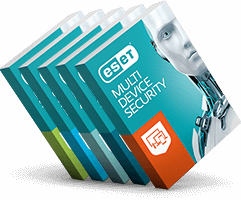 Run all tasks, policies and events directly on the endpoint as an independent agent even without connectivity to ESET Remote Administrator. 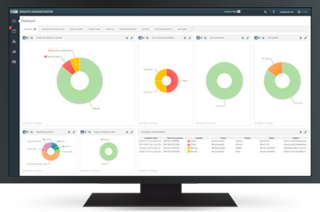 Protect and manage Windows, macOS, Linux, Android and iOS endpoints running in either physical or virtual environments from a single point. Choose between all-in-one instance, with Microsoft SQL Server Express installed on the same machine or ESET Remote Administrator server and web-console only, with option to connect to other VM containing Microsoft SQL Server. 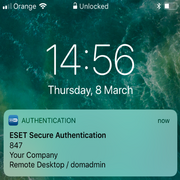 Protect access to ESET Remote Administrator by 2-factor authentication for up to 10 accounts for free – with self-enrollment directly from the web console. Configure notification options via a wizard-style series of steps. Map templates to the specific dynamic group memberships of clients or set triggers.